As a business that supplies, stores or transports goods as part of your service to your customers, you need a provider of quality packaging solutions that you can rely on. With such an enormous array of packaging products in the market, it pays to know that your business has a constant source of everything you need, at the best possible prices. 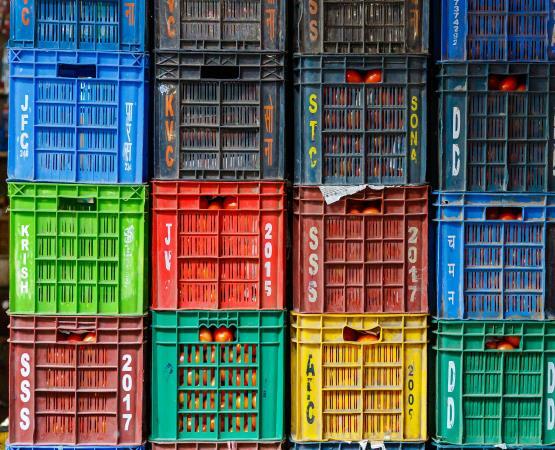 Even if your business has only an occasional need to ship or send goods, it makes sense to buy in bulk and find a wholesale packaging supplier for a number of reasons, as we explore here. By their very nature, wholesale suppliers are created to serve the trade. As companies that supply other businesses, wholesalers such as Transpack purchase goods at lower cost and higher volume, which means the savings can be passed on to your business. What’s more, whatever type of product a wholesaler specialises in, they will know their market in depth and be aware of the latest innovations. Buying in bulk at trade prices is by far the most cost-effective way of sourcing the items your business needs on a daily basis, and ensures that you are obtaining your goods from a knowledgeable specialist supplier. Why is it cheaper to buy in bulk? Buying a large amount of a product means a big guaranteed sale for a wholesaler, which is why they can offer the goods at lower prices and with less of a profit. This means a better price for the businesses they supply, and in turn, the opportunity to offer more competitive rates for your customers. What is the difference between wholesale and retail business? Simply put, wholesale suppliers sell goods on to businesses and companies who then sell them on to consumers or end users. Retail businesses, on the other hand, sell them directly to the consumer. When it comes to buying packaging solutions for your business, using a wholesale supplier such as Transpack can give you the edge in producing beautifully packaged goods for your customers. We take time to understand your business and what you need, so we can recommend the best packaging solutions for any purpose and at the best price. With 60 years’ experience supplying quality packaging and polythene for all manner of applications, we are well-placed to advise you on the huge range of packaging products available, and keep on average 99% of our products in stock at all times. Our top packaging products available in wholesale include cellophane bags, pallet wrap, business grade boxes and polybags. Our easy to use online ordering system makes placing your packaging order quick and simple, and as an online customer, you can also enjoy an extra 5% discount. As the majority of our manufacturers are based in the UK, we aim to despatch your order promptly every time. For more information about buying packaging wholesale, take a look at our ultimate business guide to packaging suppliers. What is a good wholesale price? Finding the right packaging products at the right price for your business will depend heavily on how much you need to buy in and how much your packaging is worth to your customers. For example, a business that offers a high-end branded gift wrapping service will have a different set of requirements to a removal company that provides boxes for house moves. Generally speaking, the larger the amount of a product you need, the lower the wholesale price will be and the savings will vary from product to product but you will also need to consider other aspects, such as whether or not you need to brand your packaging. Choosing a packaging wholesaler who can also produce bespoke solutions for your business can prevent doubling up on costs. Can anyone buy from a wholesaler? Usually, wholesale clients are businesses that supply their goods or services to end users, but anyone can buy from a wholesaler. At Transpack, we work with enterprises of all kinds, from businesses big and small, to blue-chip companies and individual users. Before you look for a wholesale packaging supplier, it helps to have an idea what you need and how much. This will allow you to get accurate quotes when shopping around. Wholesale suppliers will give you prices based on your order quantity but you should also take other things into account before choosing a supplier, such as their average delivery times and service level agreements and the reviews of their products and service. 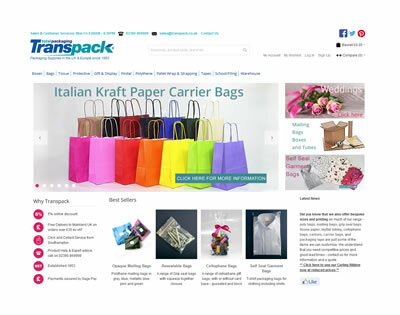 At Transpack, we display our prices for popular quantities of our products on our website, and our friendly team is on hand to give you quotes for bespoke or large orders, as well as no-obligation advice on our packaging solutions. Simply call 02380 869999 to speak to us today about your wholesale packaging needs.